Here are our top picks for the best wireless speakers for TV that connect to your TV wirelessly and stream TV audio with enhanced sound clarity. They are designed to connect to your TV over Bluetooth connection and provide a much louder and clearer sound than the TV audio drivers. Some of these wireless speakers also come with a TV transmitter which can be wired to the TV and stream audio directly to the speaker – this is ideal if your TV does not support wireless Bluetooth connectivity. If you are looking to upgrade the sound quality from your TV and want a much clearer and well defined sound from a wireless speaker, be sure to check out our top picks for the best wireless speakers for TV below! Be sure to check out our top picks for the best wireless home theater speakers if you want wireless surround sound speakers for your TV setup. The TV SoundBox is one of the best wireless speakers for TV that transmits loud and crystal clear sound directly from your TV. It is a cordless rechargeable wireless speaker that transmits TV audio via radio frequency without the need for Wi-Fi or Bluetooth connection, and is a really versatile speaker that you can place around your room to enhanced the TV audio. To activate the speaker, you simply need to connect the base of the SoundBox to the TV and place the cordless speaker in your room or living room. The Soundbox volume knob works independently from the TV volume so you can either listen to both the Soundbox or your TV audio depending on your preferences. The base of the Soundbox connects to the TV via a headphone jack or red and white audio output jacks and comes with the requisite cables for easy connectivity. It is compatible with a wide variety of TV brands and works well straight out of the box. It’s one of the best wireless speakers for TV that you can find that works exactly as intended and we highly recommend them. The sound performance and clarity of the Soundbox is perfect for those who want a louder TV audio in the room or have difficulty hearing the TV clearly. The speaker is capable of producing very crisp and well defined vocal and dialogue, which make listening to the TV audio much more enjoyable with better clarity. The TV audio is reproduced with distinct clarity and great attention to detail, with nice crisp highs, decent midrange and some bass output which make listening to the speaker an enjoyable experience. Conversations on the TV can be heard clearly which is great especially if you need to watch TV for news reporting. You can also tune up the volume on the Soundbox for a much louder sound and it will perform very well without any distortion. The great advantage of the Soundbox is that once connected to the TV, you can place the speaker virtually anywhere in the room or next to the couch for better sound projection. This works very well for those who cannot hear the TV at normal volume and need a speaker at closer range to hear the TV sounds. Music performances over the TV sounded exceptionally clear and well defined over the Soundbox; we did not experience any lags or dips in sound performance over the wireless connection. Setting up the Soundbox is a relatively straightforward process. The base of the Soundbox connects to your TV by an audio output terminal; if your TV only has an optical output, you can use a DAC converter to convert the digital output to an analog signal. The base of the Soundbox connects to a power source and charges the speaker when placed on it. The speaker has a really sleek design and a nice handle which makes it easy to carry around for convenience. We liked the fact that the Soundbox has a nice and prominent volume knob which allows you to adjust the volume easily without the need for a remote control. The speaker transmits audio via radio frequency and does not require any Wi-Fi or Bluetooth connection. It automatically recharges when placed on the base, or you can use a separate power adapter with the speaker unit to charge it. Overall, it has a really simplistic and sleek design and is one of the best wireless speakers for TV in terms of sound performance. The Verdict? The Soundbox is one of the best wireless speakers for TV and a cost-effective option for those looking to enhance the TV audio performance. The speaker connects to the TV wirelessly via the included speaker base via analog input – it streams the sound output to the wireless speaker via radio connection without any lag or dips in sound performance. Watching TV with this speaker is a really enjoyable experience, with very crisp sound performance and efficient volume controls. You also have the option of placing this speaker virtually anywhere in your room – you can place the speaker in a comfortable position where you can watch TV and listening to the TV audio at the same time. The vocal performance and dialogue from the speaker was reproduced with distinct clarity; we also did not experience any lag in video transmission while listening to the speaker. It has a nice and sleek design with a nice handle at the top for portability. The volume knob is large and prominent and allows you to conveniently adjust the volume without the need for a remote. If you are looking for one of the best wireless speakers for TV to enhance your TV audio performance, the Soundbox definitely comes highly recommended. The Pyle PTVSP20BK wireless TV speaker is a really compact and portable speaker that delivers superb audio performance and transmits sound directly from the TV. It is one of the best wireless speakers for TV you can find in terms of portability and compact design, and delivers great audio quality over a nice wireless distance. It provides really good sound quality and loud TV volume over a wireless range of up to 100 feet – the 2.4 GHz wireless frequency transmission means that you can use the speaker at a nice distance and in any room. It comes with a transmitter that connects directly to the TV and sends audio directly to the Pyle speaker. The speaker comes equipped with dual full-range speakers for clean and crisp audio reproduction. 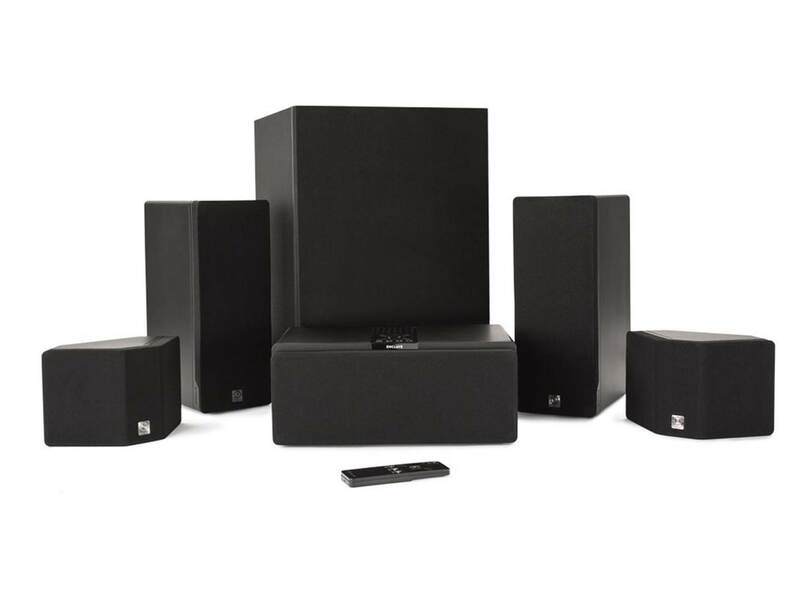 The Pyle speaker is also compatible with home theater systems and other multimedia devices with digital optical connection, and comes with a wide range of accessories for quick and simple setup. It is also equipped with a removable rechargeable battery and a headphone jack for private listening. Overall, the Pyle speaker is one of the best wireless speakers for TV you can find that delivers exceptional value for money and comes highly recommended. The sound performance of the Pyle wireless TV speaker is really good. It pumps out clean and full-range stereo sound quality that amplifies the TV audio. Watching news reports and shows on TV sounded really crisp and lifelike with the Pyle wireless TV speaker. The key advantage that you get with this speaker is its portability – you can place it next to the sofa, on the table or just behind you for better sound clarity. The wireless range on this speaker goes up to a good 100 feet long and gives you plenty of flexibility in terms of speaker placement. Listening to instrumental performances through the Pyle wireless TV speaker was a really smooth sonic experience; the sound quality is clean and does not sound harsh at all. It has decent stereo separation with good distinction between the left and right channels. Vocals were crisp with decent sounding highs and detailed midranges that surpass the audio quality from the TV. You can also crank up the volume on this speaker and it will produce virtually no distortion at maximum volumes. It’s a really good speaker to have if your TV audio is not sufficient or you need to listen to the TV audio at a further distance away from the TV. The Pyle wireless TV speaker has a lightweight and sleek looking design. It is specially designed to be compact and portable which makes it easy to carry around with you at home. It provides superb hearing assistance for a wireless range up to 100 feet and uses a transmitter which you need to connect separately to the TV. The volume control button is displayed prominent at the front of the speaker and makes adjusting the volume very convenient. The speaker comes with dual full-range drivers that produce very good quality sound; it has very decent volume and reproduces vocal dialogue very clearly. It also comes with a headphone jack which allows you to enjoy TV audio by plugging in a set of headphones. We liked the fact that the Pyle speaker also comes with digital optical fiber input and is compatible with home theater systems and stereo sets. The speaker uses 2.4 GHz wireless frequency transmission which provides up to 100 feet range; this means that you can actually take the speaker into another room and still be able to pick up the TV audio clearly. The entire package comes with the Pyle wireless TV speaker, transmitter charging base, power adaptor and audio connection cables. The Verdict? The Pyle speaker is one of the best wireless speakers for TV that you can find that delivers exceptional value for money. It’s a speaker that delivers really clean audio quality directly from your TV via wireless transmission. It produces clean stereo sound with crisp vocals; there is a good deal of separation between the left and right speaker channels which is good. Listening to shows, news reporting and TV dramas through the Pyle speaker was a really enjoyable experience, with smooth audio reproduction and crisp highs. We did not experience any harshness or muddiness while listening to the speaker. It also has a good wireless range of up to 100 feet which makes it ideal for portability; you can take it with you and place it next to you by the sofa and comfortably listen to the TV audio. The Pyle speaker charges when placed on the transmitter base; it comes with all the accessories you need for quick setup and connecting the transmitter to the TV. It’s one of the best wireless speakers for TV that really enhances the TV audio performance and comes highly recommended. The Meidong 36” Bluetooth soundbar is one of the best wireless speakers for TV that you can findthat delivers superb surround sound. The sound bar comes with a built-in subwoofer and produces rich and room-filling sound that sounds very smooth. It features an ultra slim design that complements your TV setup and comes with two powerful full-range stereo acoustic drivers that produce a lot of volume and powerful sound with decent stereo separation. 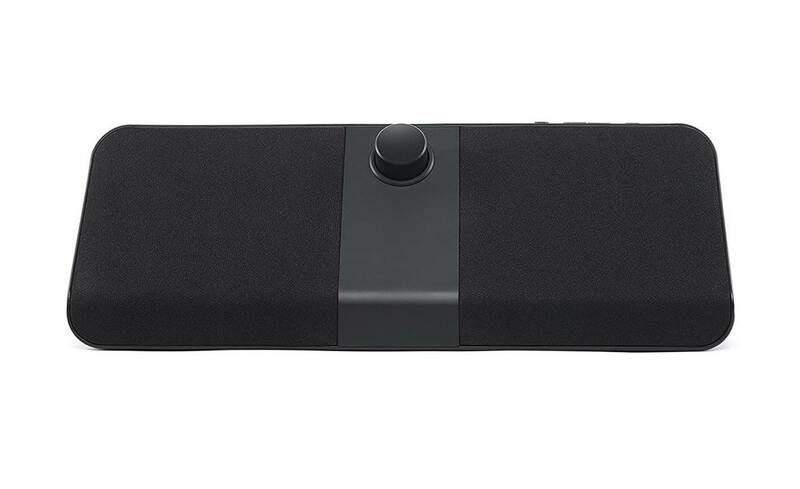 The soundbar connects to your TV or other mobile devices via Bluetooth 4.2 technology and also has wired connections including a 3.5mm auxiliary input and RCA auxiliary input jack. It also features dual operation modes for convenient control and also comes with a remote control to adjust the playback settings and volume switch mode. Assuming that your TV supports wireless Bluetooth, the Meidong soundbar is one of the best wireless speakers for TV that really packs a punch and delivers high quality sound performance for TV shows and movies. We were very impressed by the sound performance of the Meidong soundbar. The soundbar produces very good full-range sound and covers a really wide frequency range – it definitely sounds much better than the TV and has a really crisp and warm sound signature. It produces really rich deep bass performance and clear trebles on the higher frequency ranges; you can also easily crank up the volume on this wireless TV speaker and it will not distort at all. Vocal performances sounded exceptionally clear, and you can hear every single detail in the sound without any issues. Watching the news or TV shows with the soundbar felt like sitting in a mini surround sound cinema – the soundbar has really good soundstage and a wide dispersion of sound so you do get a sense of where the sound is coming from. The stereo separation between and far left, right and center channel speakers is distinct and clear and sounds much better than the standard TV audio. It’s the perfect speaker to have if you want to enhance your TV audio performance and it will also double as a Bluetooth speaker when paired with your mobile device. The Meidong soundbar has a really sleek and elegant appearance with a solid construction. Setting up the soundbar was straightforward – you simply need to plug in the power adapter and connect the soundbar to your TV either through the Bluetooth wireless connection, RCA inputs or auxiliary input. The speaker also connects wirelessly to smartphones which is great if you intend to stream music. The remote control that came with the soundbar can be used to adjust the volume and audio settings and is really intuitive to use. The length of the soundbar is approximately 36” and looks really sleek when placed next to a 32” or larger sized TV screen. We liked the fact that the soundbar comes with intuitive button controls on the top of the speaker which allows you to adjust the volume, skip soundtracks and switch modes. The entire package comes with the Meidong soundbar, remote control, power cord, RCA cable, 3.5mm audio cable and a user manual for easy reference. The Verdict? The Meidong 36” Soundbar is one of the best wireless speakers for TV that delivers really crisp and crystal clear sound quality. It connections wirelessly to the TV via Bluetooth and can also stream music directly from your mobile devices. The sound performance of the soundbar is really good, with crisp vocals, nice treble ranges and detailed midranges. The bass response is decent and punchy with the built-in subwoofer in the soundbar. We liked the fact that the Meidong soundbar also comes with a handy remote control and all the cabling you need to get started with installation. The soundbar uses Bluetooth 4.2 technology for high quality Bluetooth streaming; we did not experience any lags or dips in sound performance from our TV audio. It also comes with 3.5mm auxiliary inputs and RCA inputs for wired connections in case your TV does not support wireless streaming. The Meidong Soundbar has a really clean and solid construction that looks really good next to a 32” TV or larger TV screen. Overall, it is one of the best wireless speakers for TV that produce really good sound quality and are definitely worth the investment. The Enclave Audio CineHome HD 5.1 is a set of wireless speakers for TV designed for high quality audio performance and delivers home theater sound with wireless connectivity. It is a completely wireless setup with the Enclave center speaker serving as the central hub for wireless transmission – the surround sound speakers and subwoofer automatically sync wirelessly to the Enclave center speaker which is wired directly to the TV. The speakers are custom designed and tuned for 360 degree 24 bit HD wireless audio sound; each speaker is built with two full-range drivers on opposite sides for enhanced surround sound performance. It is also compatible with Dolby Digital and DTS and delivers cinema-like sound even from stereo signals. The system comes with 3 HDMI inputs to connect to your TV, cable box, DVD or Blu-ray player, and also features 3.5mm analog, optical inputs and Bluetooth streaming functionality. It’s a fully integrated 5.1 system and a really good set of wireless speakers for TV if you are considering a wireless setup in your home or living room. The sound performance of the Enclave wireless speakers for TV surpassed our expectations for a fully wireless setup. It produces very good 5.1 HD surround sound that permeates through the entire room. The sound coming from the surround speakers feels detailed and well defined, with crisp highs, very good midrange and strong bass performance. The surround sound speakers are each equipped with dual full-range drivers that deliver really spacious and crisp sound performance. At no point did we experience any lag or dips in sound performance from the surround speakers over the wireless connection. Watching movies with the CineHome system feels like sitting in a real life cinema, with deep sound effects and bass response that hits hard and feels impactful. We also tested this system with a couple of soundtracks via Bluetooth streaming – electronic dance music sounded really punchy and hits hard, while orchestra music had plenty of soundstage and decent musical separation in the 5.1 system. The wireless TV speakers really do a good job in reproducing subtle details which you might not have noticed in the recording before; the end result is that you get really good sound quality that feels natural, organic and uncolored. It is the ideal set of wireless speakers for TV if you want to avoid the need to run wiring through your room for a clean setup. Setting up the Enclave CineHome is relatively simple and straightforward. You only need to place the speakers in the appropriate position, plug in the AC power adapter and load up the Enclave smart center to get started. The Enclave center speaker connects to the TV with a single cable and is compatible with HDMI and SPDIF optical sources. The subwoofer connects to the center system wirelessly, and syncs together with the wireless rear and front speakers. It also comes with a nice remote control which you can use to control the volume and basic functionality of the system. The Enclave Audio system delivers 24 bit uncompressed audio wirelessly which enhances the overall sound performance. We liked the fact that these wireless TV speakers also comes with the Enclave Audio app which you can use with Android/iOS devices to stream music from your device or local network, or update the Enclave Audio firmware. The Wifi and Bluetooth transmission works as expected without any dips in sound quality or performance. The system generally supports HDCP 1.4 and it will pass 3D video sources without any issues. The only downside to these wireless TV speakers is that it does not support HDCP 2.2 signals and you will need a workaround if you want to stream 4K video from your TV. The entire package comes with the two front wireless speakers, two rear wireless speakers, a wireless subwoofer, and the center channel speaker. The manufacturers also provide a remote control, power adapters, HDMI cables and user manual for easy reference. Overall, this is a 5.1 wireless TV speaker system that is really easy to setup and syncs together wirelessly without the need for speaker cabling which is the main advantage that you get with this setup. The Verdict? The Enclave Audio CineHome HD 5.1 is a set of wireless speakers for TV that are very easy to setup without the need for massive cabling around the room. The entire system is designed to be wireless – you get wireless front speakers, wireless rear speakers, wireless subwoofer and a center channel speaker that connects directly to your TV. In terms of audio performance, it’s hard to go wrong with these wireless TV speakers. Watching movies with the CineHome felt as though we were sitting in a real life cinema with deep sound effects and crisp dialogue from the center channel speaker. Music performances from instrumental music and orchestra music sounded very consistent and detailed with a good level of soundstage. You really feel that you are immersed in the sound while listening to music with this setup; the bass response hits hard and feels impactful. The only downside with these wireless TV speakers is that it does not support HDCP 2.2 which may be an issue if you want to stream ultra-high quality video through this system, otherwise you will have to use a workaround. Overall, the Enclave Audio CineHome wireless speakers for TV are a really good investment and deliver sound quality on par with higher-end sound systems and we highly recommend them. The TaoTronics Soundbar is one of the best wireless speakers for TV that delivers really crisp sound performance with an incredibly sleek design. 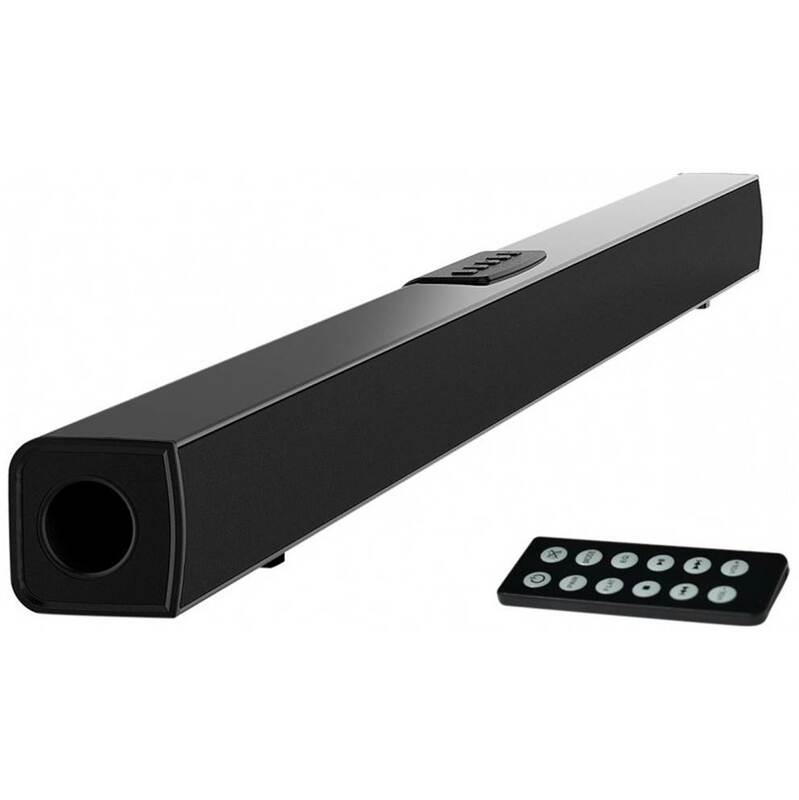 It is a 21” soundbar that has a compact design and can be installed in living rooms or bedrooms without being obtrusive. 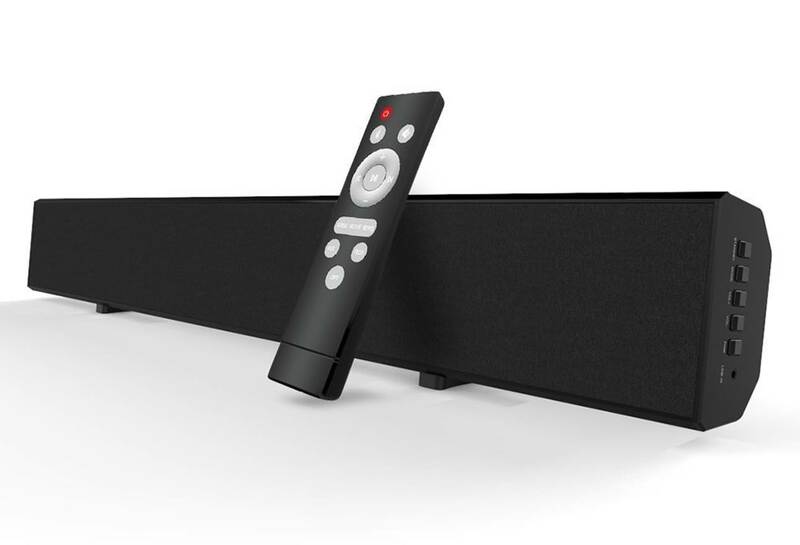 The soundbar supports both wired and wireless connections and connects to the TV via Bluetooth with a range of up to 33 feet. It also comes with a 3.5mm auxiliary input, RCA inputs and optical inputs for wired connections. The TaoTronics Soundbar can be securely mounted on a wall for a home theater setup or placed flat below the TV screen. 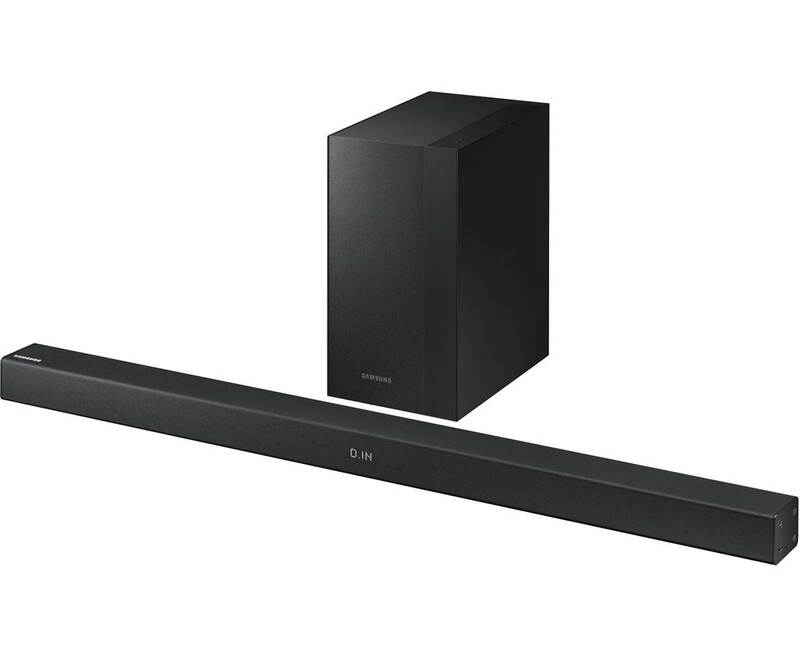 The soundbar produces a good 36W of power and can fill a room with loud and powerful sound without any issues. It is also very easy to use and operate; it comes with a remote control that displays different modes with multicolour LED lights. If you are looking for one of the best wireless speakers for TV that has a sleek and minimalist appearance, the TaoTronics Soundbar is definitely worth checking out. We found the sound quality of the TaoTronics Soundbar to be really good and much better than we anticipated from a 21” Soundbar. The sound that you get from this Soundbar is much better than the TV speakers with crisp vocals, detailed midrange and a much deeper and robust bass response. The speaker has plenty of volume due to its dual 18W speakers and provides a good balance between vocal dialogue reproduction and music quality. We liked the fact that the soundbar comes with optical cables which allows it to play lossless sound quality which is great for home theater and watching movies. The wireless streaming between the soundbar and the TV via Bluetooth was smooth and we did not encounter any issues such as lagging or sudden dips in sound quality. Watching TV shows and dramas with the TaoTronics soundbar was a really enjoyable experience with plenty of detailed sound effects and a nice wide soundstage. You can even pick up details from the TV audio which you might not have noticed before with the stereo separation between the left and right channels. The speaker has a pretty good range and covers most of the audio spectrum without any issues. The TaoTronics soundbar has a really clean and sleek design that blends in very well with most TV setups. Because the entire soundbar is only 21” long, it is compact enough to fit into most TV desks and installation in smaller rooms with smaller screen TVs. The soundbar connects to the TV and mobile device via Bluetooth connection; it also comes with built-in 3.5mm RCA and optical inputs which is really convenient if you opt for a wired setup. The soundbar also comes with an optical cord which provides high quality audio transmission. The only downside about this soundbar is that it does not have separate buttons on the speaker apart from the remote control, which makes controlling the soundbar only available via the remote control. The entire package comes with the TaoTronics Soundbar, remote control, power cord, optical cable, 3.5mm to RCA cable and user manual for easy reference. The Verdict? The TaoTronics soundbar is one of the best wireless speakers for TV that delivers quality sound performance with a sleek and elegant appearance. It is only 21” long which makes it suitable for mounting on the wall or for use in smaller rooms or smaller television sets. The soundbar supports wireless Bluetooth connectivity and you can stream music directly from your mobile device to the soundbar; it also comes with 3.5mm auxiliary input cables and RCA inputs for wired connections. The sound quality that you get from this soundbar is really crisp, with detailed sound performance and good attention to detail. Vocal performances and dialogue sounded smooth without any harshness, and watching TV shows with this soundbar felt like sitting in front of a mini surround sound system. 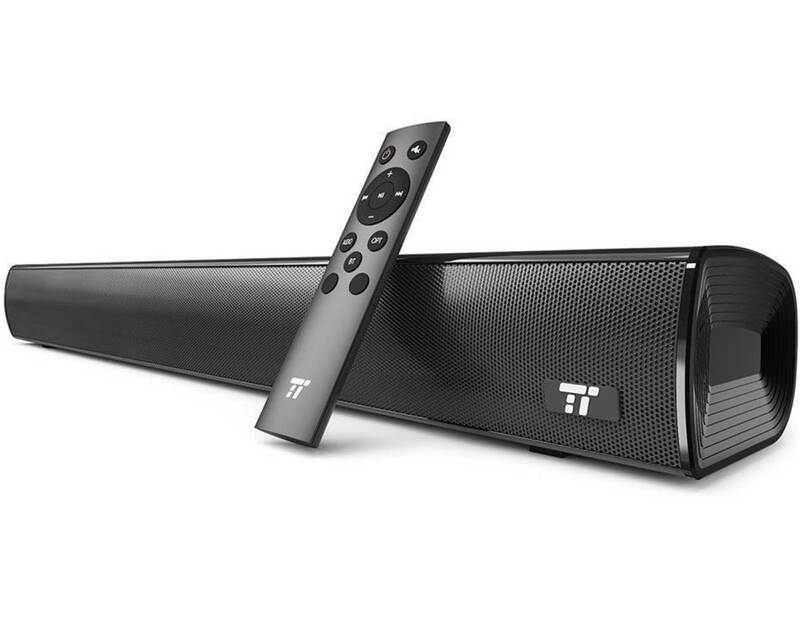 The volume on this soundbar gets loud enough to fill a large room with filling sound. It also comes with a remote control which you can use to easily control and change the sound settings on the soundbar. The only downside is that the soundbar does not come with separate buttons for you to adjust the volume settings. Overall, the TaoTronics Soundbar, while not perfect, is one of the best wireless speakers for TV that delivers very good value for money so don’t forget to check them out! The Grace Digital GDI-BTTV100 is one of the best wireless TV speakers you can find that delivers enhanced sound clarity for TV audio with a good amount of volume. The Grace Digital TV speaker comes with two 3” full-range speakers and a ported bass design for crisp and crystal clear sound. It features a built-in 16” watt Class D digital amplifier which delivers plenty of volume and sound projection to enhance the TV audio. The speaker has a nice frequency response of 60 Hz to 18 kHz and a signal to noise ratio of 89dB. The Grace Digital speaker comes with a digital wireless transmitter which streams music wirelessly from the TV via an aptX low latency Bluetooth connection between the speaker and transmitter for enhanced sound clarity. The Bluetooth range on the speaker is a good 30 feet which provides plenty of room for manoeuvrability. It’s the ideal speaker to have if you want to project your TV audio in the room at a distance; you can place the speaker next to you for a more comfortable listening experience without having to turn up the volume on the TV. If you are looking for one of the best wireless speakers for TV with really good sound clarity, the Grace Digital speaker is definitely worth checking out. The main advantage of the Grace Digital TV speaker is that it allows you to bring the TV audio to where you sit – essentially you can place the speaker anywhere in your room to project the TV audio. The sound performance from the Grace Digital speaker was superb, with very good vocal and dialogue reproduction and crisp trebles. You can really hear the dialogue from the TV while watching talk shows or movies with this speaker. It is tuned to clarify voice and dialogue tracks so you can watch pretty much watch anything on the TV with this speaker such as news and sports and have crystal clear sound performance. The speaker is powered by a Class D digital amplifier with 16 watts of power and produces a considerable amount of volume. We also liked the fact that it comes with dual 3” full range drivers that deliver crisp stereo sound and decent musical separation between the left and right channel speakers. The bass response that we got from the speaker was decent and not overpowering – it really produces crystal clear sound clarity in the upper mid to high frequency ranges and is great for amplifying the TV audio without any issues. The Grace Digital speaker comes with the wireless transmitter which needs to be connected to the TV. The speaker communicates with the transmitter via digital aptX low latency Bluetooth connection for high quality audio streaming. The Bluetooth transmitter is able to connect to digital or analog ports on the television, cable or TV box and transmits audio to the speaker for up to 30 feet away. Do note that the speaker volume operates independently of the TV so you may have to turn down the TV volume when operating the wireless speaker. The speaker features voice enhancing digital equalization technology which makes dialogue easy to hear and reproduces music with crystal clarity. It also has an prominent volume knob located in the center of the speaker which allows you to adjust the volume conveniently; you can press the volume knob to either mute the speaker or power it on or off. The speaker also comes with an included remote control which you can use to adjust the volume, treble and bass settings according to your music preferences. Do note that the speaker needs to be connected to the power adapter to work; otherwise a separate battery is required for the speaker which should be purchased separately. The Verdict? The Grace Digital speaker is one of the best wireless speakers for TV that delivers exceptional dialogue clarity with aptX Bluetooth streaming functionality. It comes with a wireless transmitter which you need to connect to your TV and enables you to stream audio directly to the speaker. The speaker is equipped with two 3” full-range speaker drivers that deliver crisp and clear sound with a built-in 16 watt Class D amplifier for better volume outputs. It has a frequency response of 60 Hz to 18 kHz and a signal to noise ratio of 89dB. The speaker is rather lightweight and weighs a mere 4 pounds, with a dimension of 13 x 3.8 x 4.3 inches. The sound performance of the speaker is superb with distinct vocal clarity and really crisp treble ranges – it amplifies the TV audio really well and has a good range of up to 33 feet. The only downside to the wireless TV speaker is that it requires a separate power adapter in order to work, and does not come with a built-in battery which needs to be purchased separately. Apart from this, the Grace Digital speaker is one of the best wireless speakers for TV you can find in a portable and compact setup and we highly recommend them. The Pyle PTVSP18BK speaker is one of the best wireless speakers for TV we have come across that effectively amplifies TV audio and provides excellent hearing assistance. The entire setup comes with the Pyle wireless speaker and wireless transmitter which enable you to bring the TV audio closer to you. It is the ideal speaker for those who need hearing assistance or want to a better sound experience apart from the TV audio speakers. The Pyle speaker is designed with extended wireless connectivity range of 100 feet which provides a good deal of flexibility in terms of speaker placement around your home. 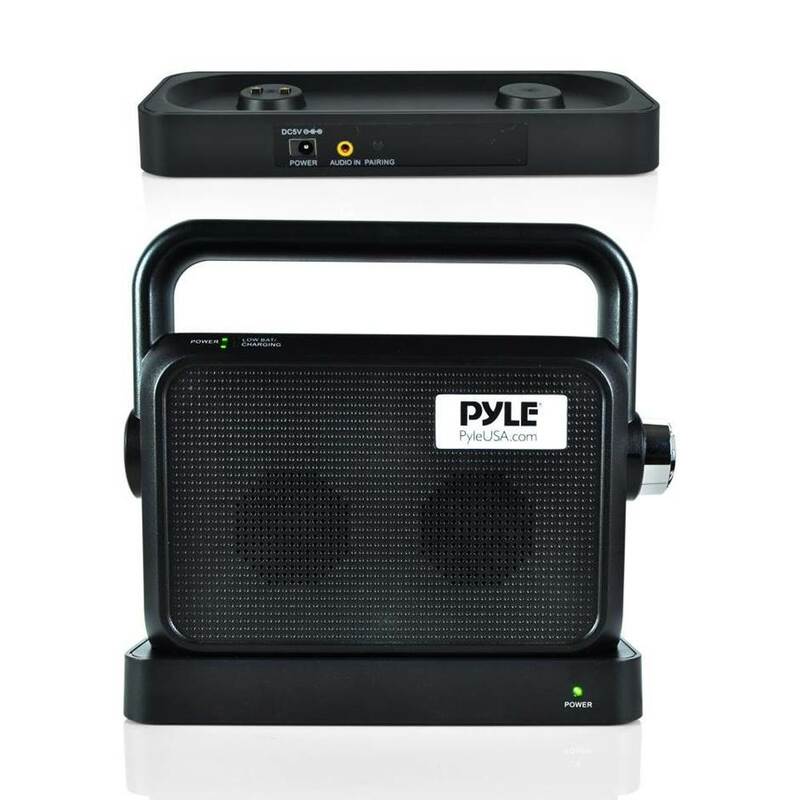 The Pyle soundbox connects to the wireless transmitter which is wired to the TV for smooth audio transmission; the speaker is compatible with home theater systems and also comes with an accessory kit for quick setup and connections. The speaker comes with dual full-range drivers that produce high quality sound that enhances the overall audio experience. It also comes with a headphone jack which allows you to enjoy TV audio without disturbing others in the room. If you are looking for one of the most versatile wireless speakers for TV, the Pyle PTVSP18BK speaker comes highly recommended. The sound performance of the Pyle Soundbox was really crisp, with detailed vocal reproduction and crystal clear dialogue. The speaker amplifies the TV audio very well and can be placed virtually anywhere in the room to project the TV audio sound. This is especially useful if your TV audio is not loud enough to be heard or if you have elderly folks that need hearing assistance. When we tested the speaker, we were surprised at how clear the sound from the speaker was. You can hear all the details in the sound and the dialogue from news reporters, sports and TV talk shows with pristine clarity – it sounds even better than the built-in TV audio. The speaker has a really good treble range and delivers crisp highs together with detailed midranges and decent bass response. It does the job of projecting the dialogue sounds into the room and letting music play into the background. The dual drivers in the speaker produce pretty decent stereo sound quality with decent separation between the left and right speaker channels. The speaker has a pretty good frequency range and is able to reproduce the upper to high frequency ranges with accuracy. It is a speaker that enhances the TV audio performance and is great for those who need hearing assistance. 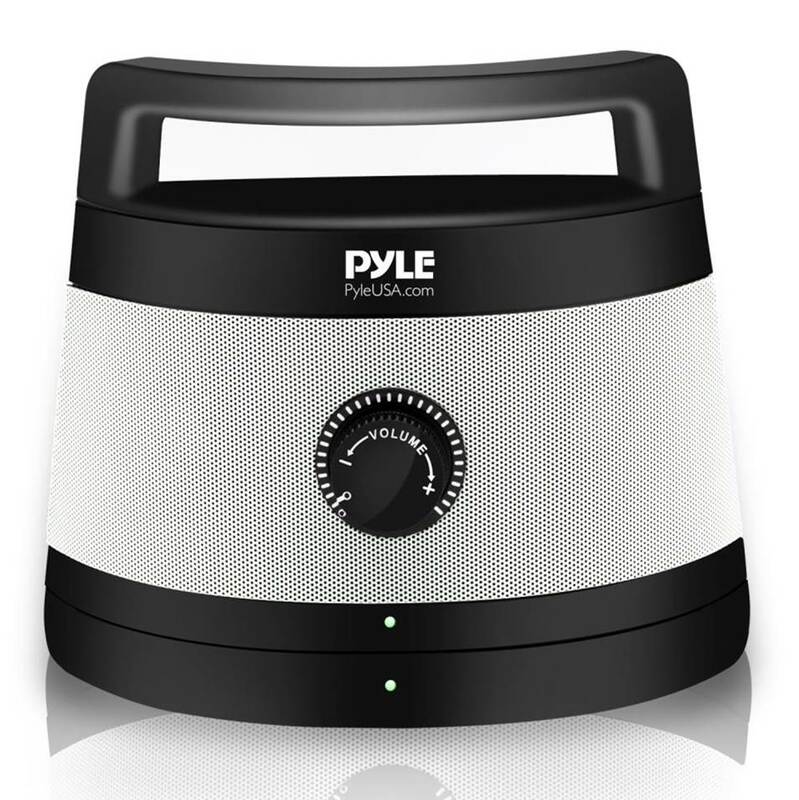 The Pyle soundbox features a really nice and sleek design that looks minimalist and compact. It comes with a nice handle at the top of the speaker for easy portability. The speaker is equipped with 2.4 GHz wireless frequency transmission for a long 100 feet of wireless range which means that you can place the speaker around your room without having to worry about losing wireless connectivity. The speaker comes with a built-in rechargeable battery that automatically recharges when you place it on the transmitter charging base. The Pyle connects wirelessly to the transmitter base which is in turn wired to the TV for audio input. We liked the fact that the speaker also comes with a headphone jack for easy listening without disturbing others in the room. The Pyle Soundbox provides hi-fidelity stereo sound reproduction when connected to the TV and projects the sound out really well. The entire package comes with the Pyle wireless TV speaker, transmitter charging base, power adapter and audio connection cables for easy setup. The Verdict? The Pyle PTVSP18BK is one of the best wireless speakers for TV that you can find that provides a versatile listening experience. The speaker is lightweight and compact and easily portable so you can place it near you to hear the TV audio. The wireless transmission between the speaker and transmitter base works like a charm and we did not experience any dips in sound quality or lags in sound performance. The sound quality of the Pyle soundbox is really crisp, with deep vocal reproduction and very crisp background music – you can really hear the vocal dialogue from this speaker with great accuracy and precision. Watching news, TV shows and drama series with the Pyle speaker enhances the overall listening experience especially if the TV audio is not loud enough to be heard. It’s a great speaker for hearing assistance and works straight out of the box with convenient setup options. If you are looking for one of the best wireless speakers for TV with very good versatility and sound quality, the Pyle PTVSP18BK comes highly recommended. The TV Ears is one of the best wireless speakers for TV designed with voice clarifying circuitry to make TV dialogue easy to hear and understand. It is the type of speaker that works as hearing assistance and should be placed near the listener to project the TV sound – the sound that the speaker produces is not in conjunction with the TV sound and the TV can be muted for a better listening experience. It also comes with a headset jack located on the front of the speaker to connect to any standard headphone for quiet listening. The TV Ears has a sleek and compact design with a large and prominent volume dial that you can use to adjust the volume conveniently. It also features Dolby, SRS and PCM compatibility for added digital connectivity. The entire set comes with the TV Ears speaker and a transmitter which can be connected to the TV to transmit sound directly to the speaker. It’s an all in one solution and one of the best wireless speakers for TV that you can find, and we highly recommend them. The sound performance of the TV Ears speaker is very clean and concise. It is a voice clarifying speaker that allows you to listen to TV dialogue and speech with crystal clear clarity and good sound amplification. It has a wide frequency response of 90 Hz to 18 kHz with 90dB of volume output which is really good. The speaker has two powerful internal speakers, two main drivers and two reflex bass ports for enhanced bass output. Listening to vocal performances and TV shows through the speaker was a really enjoyable experience, with crisp highs, detailed midranges and good attention to detail. You can hear the dialogue and vocals through the speaker very clearly; it sounds much better than the TV audio sounds and can pump out a large amount of volume without any distortion or lags in sound performance. The sound coming from the TV should be muted while using this speaker to prevent any excessive overlap. We were quite surprised at how crisp the sound quality from the TV Ear speakers was considering its small and compact size, and is ideal for those who cannot hear the TV clearly while watching news, talk shows or TV dramas. The TV Ears speaker features a low profile design which blends in easily with modern home décor and will easily fit on a shelf near the TV or on a table side. The headphone jack located on the front of the speaker connects easily to any headphone with a 3.5mm auxiliary input jack should you prefer quiet listening. 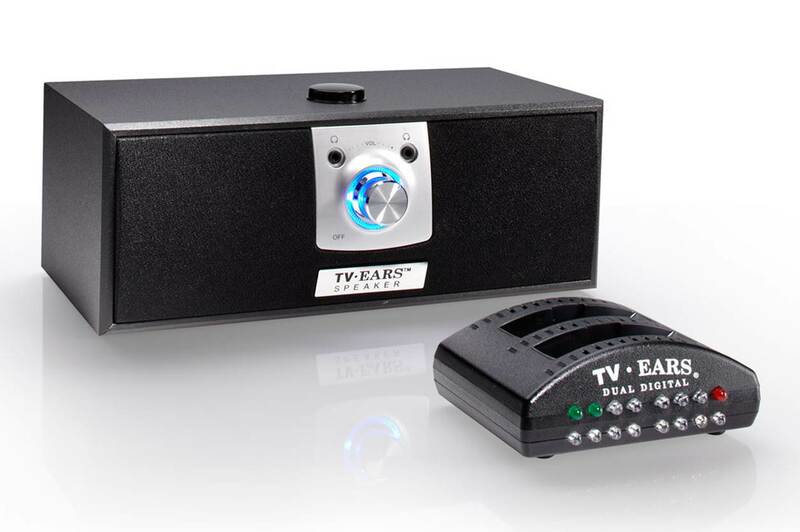 The TV Ears speaker contains proprietary voice clarifying circuitry that automatically adjusts the audio clarity to ensure that dialogue and vocals from the TV sound crisp and clear. It also decreases the background sounds such as music and sound effects to emphasize on the vocal dialogue and make it easier to hear. The TV Ears speaker uses a wireless transmitter to send television audio to the speaker and comes with two power supplies – one for the speaker and the other for the transmitter. The entire package comes with the TV Ears speaker, 5.0 dual digital transmitter, optical auxiliary cord, analog audio cord and two power supplies for easy setup. The Verdict? The TV Ears is one of the best wireless speakers for TV that delivers crystal clear dialogue and vocals directly from the TV. 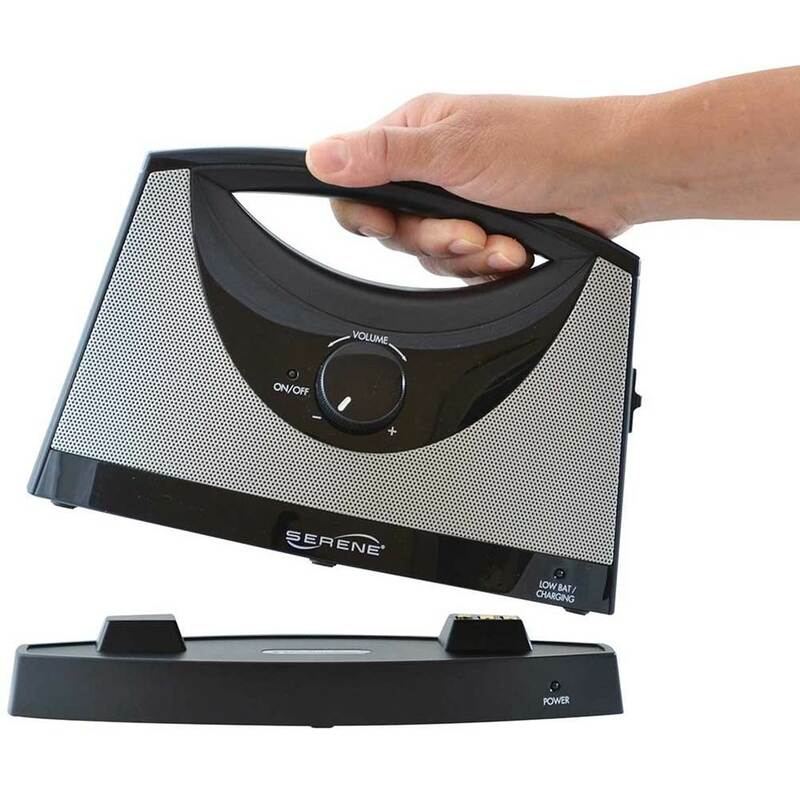 It works as an independent speaker that connects to the TV via a separate transmitter – you can adjust the sound and volume on the speaker separately. The sound performance of the TV Ears is really crisp and detailed, with smooth dialogue performances and vocals that sound clear and well defined. We liked the fact that the TV Ears speaker also comes with headphone outputs in the front of the speaker which you can use to plug in headphones for quiet music listening. It has a really sleek and compact looking design with a prominent volume dial that you can use to easily adjust the volume output. It also supports digital connectivity with Dolby, SRS and PCM compatibility which enhances the overall TV sound performance. Do note that the speaker works separately from the TV audio so you might need to mute the TV sound to reduce sound overlap. If you are looking for one of the best wireless speakers for TV, the TV Ears is definitely something you should check out. The Samsung HW-M360 is one of the best wireless speakers for TV that provides a dynamic home audio experience with 2.1 channel surround sound. The soundbar connects wirelessly to your TV or Samsung TV via Bluetooth connection and produces really clear and impactful sound. The subwoofer also connects wirelessly to the soundbar and provides deep and powerful bass for movies, shows and sports channels. You can also connect to the soundbar with any compatible Bluetooth device with one-touch control to easily adjust the sound settings and music preferences. It also pairs with the Samsung wireless speaker kit if you want to upgrade your sound system to a 5.1 home theater system. The sound also supports Dolby Digital sound and can produce room filling sound with good volume out. You can also set the 6.5” 130 watt wireless subwoofer anywhere in the room and surround yourself with rich and deep bass response. The Samsung HW-M360 is one of the best wireless speakers for TV that delivers a really smooth cinematic sound experience and connects via Bluetooth to the TV to stream music. The Samsung soundbar is capable of producing up to 200 watts of clean sound. The wireless connection to the subwoofer is automatic once you power up both the soundbar and subwoofer. The soundbar is capable of producing very clean 2.1 channel stereo sound that sounds crisp and crystal clear. We liked the clear voice setting which provides sharper dialogues and smooth vocals that sound really crisp. The soundbar produces enough volume to fill up a large room with rich and filling sound, and does not distortion at high volumes. Vocal performances through the soundbar felt clear and well defined; you also get pretty good soundstage with the soundbar and nice stereo separation between the left and right channel speakers. The highs are crisp with good extended treble ranges, and the midranges are well defined. The bass from the wireless subwoofer feels tight and punchy and really adds that extra punch to the sound or while watching movies. We did not experience any lag in sound performance between the TV and the soundbar – the sound was clear and concise and had no static noises. The Samsung HW-M360 soundbar has a pretty elegant and modern looking design that blends in well with home décor. It comes with a wireless subwoofer that you can place virtually anywhere in the room and it connects wirelessly to the soundbar when powered upon. Both the soundbar and wireless subwoofer look very professionally designed and occupies minimal space in the room. For optimal bass response, we would recommend placing the subwoofer near to a corner of the room for better sound quality. The system comes with a nice remote control which works great straight out of the box. The built-in Bluetooth connectivity on the soundbar allows you to play music directly from your mobile device or tablets and stream music directly to the system. You also have the option of controlling the sound from your phone and mobile device with the Samsung Audio Remote app which allows you to customize the equalizer and media controls. The soundbar also comes with auxiliary and optical cable inputs for a wired connection to the TV if your TV does not support Bluetooth connectivity. The Verdict? The Samsung HW-M360 is one of the best wireless speakers for TV you can find with a wireless subwoofer combination. It produces very good sound quality, with distinctly clear highs, detailed midrange and very good bass from the subwoofer. 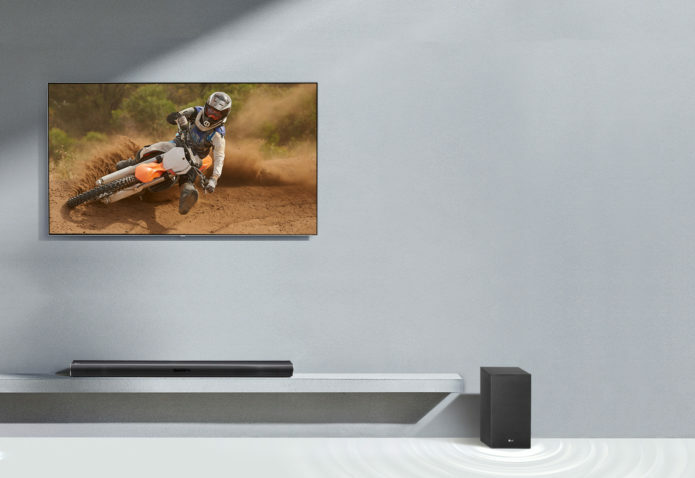 The soundbar connects wirelessly to TVs that support Bluetooth connection; it also gives you the option of a wired connection to the TV via optical and auxiliary inputs. The soundbar and subwoofer look very professionally designed and blend in easily into modern home décor. The subwoofer connects wirelessly to the soundbar automatically and can be positioned virtually anywhere in the room for enhanced bass response. Watching TV shows and movies with the Samsung HW-M360 was a really enjoyable and fun experience, and it does have a certain degree of soundstage and stereo separation despite it being only a 2.1 system. Overall, the Samsung HW-M360 is a cost-effective and one of the best wireless speakers for TV and we highly recommend them. The Mighty Rock soundbar is one of the best wireless speakers for TV you can find that connects directly to compatible TVs via Bluetooth connection. The soundbar is capable of producing very good sound quality with its dual 15 watt speakers to deliver crisp and clear stereo sound with decent separation – it has a total power output of 30 watts of crystal clear sound. It provides a really good sound experience for watching movies, news and gaming and has a really sleek and elegant design that blends in nicely under the television; it looks pretty stylish and enhances the overall feel of the TV set. The soundbar is equipped with 3.5mm to RCA audio cable inputs, built-in Bluetooth that connects to a variety of devices including mobile phones and smartphones, and also comes with a nice remote control for you to adjust the audio settings on the go. It’s one of the best wireless speakers for TV that connects directly via Bluetooth and delivers sound performance on par with higher-end soundbars that we have tested. We were pretty impressed by the sound quality of the Mighty Rock soundbar. It has a wide frequency response of 80 Hz to 20 kHz and produces a full 30 watts of room filling sound. The sound that we got from the soundbar was crisp, clear and well defined with a nice emphasis on vocals and dialogue. The bass response from the soundbar was surprisingly impactful and punchy – it adds that extra kick to the music which makes it sound much better. Vocals and dialogue sounded crisp and clear through the soundbar, and watching TV shows, movies and dramas was a really enjoyable experience. The soundbar does deliver good stereo sound separation between the left and right channels with decent soundstage; it projects sound out really well and fills up the room with rich sound. You can also crank up the volume on the soundbar without any distortion which is pretty good. While the sound quality of the Might Rock soundbar is not the best that we have heard, it certainly delivers really good value for money and enhanced sound performance that will complement your TV system. The Mighty Rock soundbar has a nice and sleek appearance that blends in nicely with the TV setup. It has an elegant shape and design that makes it portable and occupies less space. We liked the fact that the soundbar also comes with a remote control which makes operating the speaker easier. The soundbar features a really durable and solid construction; it is made of tough ABS plastic and covered by a soft touch cloth which feels nice to touch. You can also use the soundbar as a portable Bluetooth speaker due to the built-in Bluetooth functionality which allows you to connect your smartphone and other Bluetooth devices to stream music. It also features a 3.5mm to RCA audio cable which allows you to connect non-wireless music sources or wire it to the TV if your TV does not support Bluetooth connectivity. The entire package comes with the Mighty Rock sound bar, remote control, power cord, RCA cable, auxiliary cable and a user manual for easy reference. The Verdict? The Mighty Rock soundbar is one of the best wireless speakers for TV that produces quality sound performance and connects to the TV via Bluetooth. It is capable of pumping out a clean 30 watts of audio performance and has a nice frequency response of 80 Hz to 20 kHz for fuller-range sound. The bass impact that we got from the soundbar was surprisingly deep and impactful – you really feel the kick in the music which enhances the overall listening experience. Watching TV shows, movies and news with the Mighty Rock soundbar was a really nice experience, with crisp dialogue and clear vocals that sounded really well defined. The speaker also features an elegant appearance and is constructed of tough ABS plastic material for durability. It is small and compact enough to be used as a portable Bluetooth speaker and will also play music directly from your Bluetooth mobile device and tablets.